The most amazing soccer game you've ever witnessed! 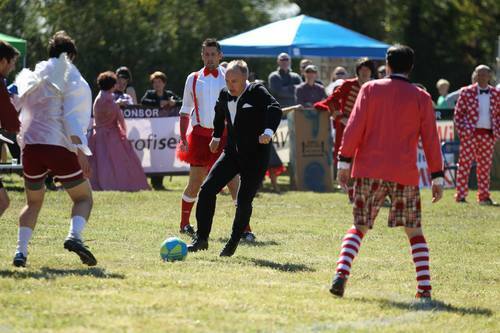 As a tongue-in-cheek protest to the typical formal banquet fundraiser, we host our banquet on the soccer pitch and attire the players in black tie and ball gowns. It's first seven editions have raised more than $375,000 for Atlanta's youth.